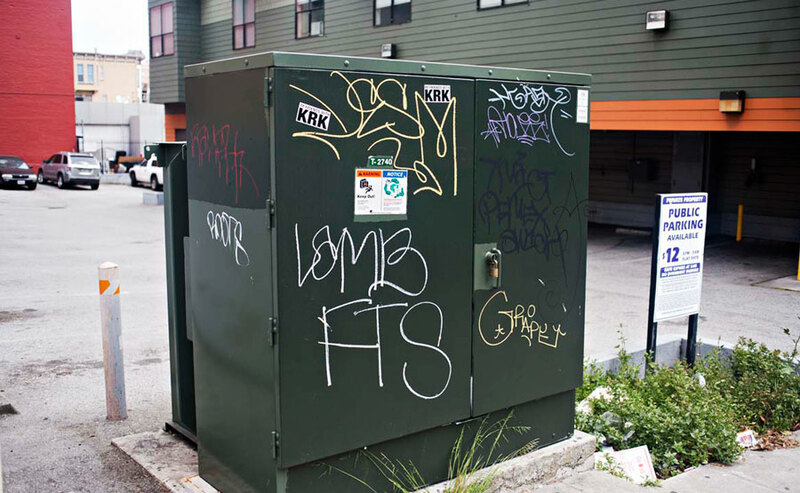 726 refrigerator-sized metal boxes are proposed for San Francisco sidewalks as a part of AT&T’s U-verse/Lightspeed project that will enable video television. Despite widespread concern from citizens and elected officials about pedestrian safety, graffiti, and illegal dumping, AT&T was granted a categorical exemption for the project. The standard environmental review required by the California Environmental Quality Act would not be carried out. We asked the Board of Supervisors to require the standard review for a project of this size, a narrow 6-5 upheld the exemption. We believe this project represents site-specific and cumulative negative impacts to our city. While AT&T is a public utility whose U-verse project cannot be denied, feasible mitigation must come first. The San Francisco Superior Court initially agreed and issued a stay on new construction, three months later however a new judge denied our petition. We appealed the decision. Until an environmental report is conducted, the feasibility for smaller or fewer boxes, undergrounding, adaption with art or as benches, placement on private property, or adequate greening mitigation remains unstudied. How-to protest a utility box notice.